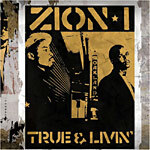 Zion I's 3rd release which is nothing short of amazing. Dope guest spots, amazing beats by Amp Live and of course, Zion is always on point. This is not one to miss!